Product contains coconut, almonds, and cashews. Produced in a facility that also processes egg, peanuts, and pecans. 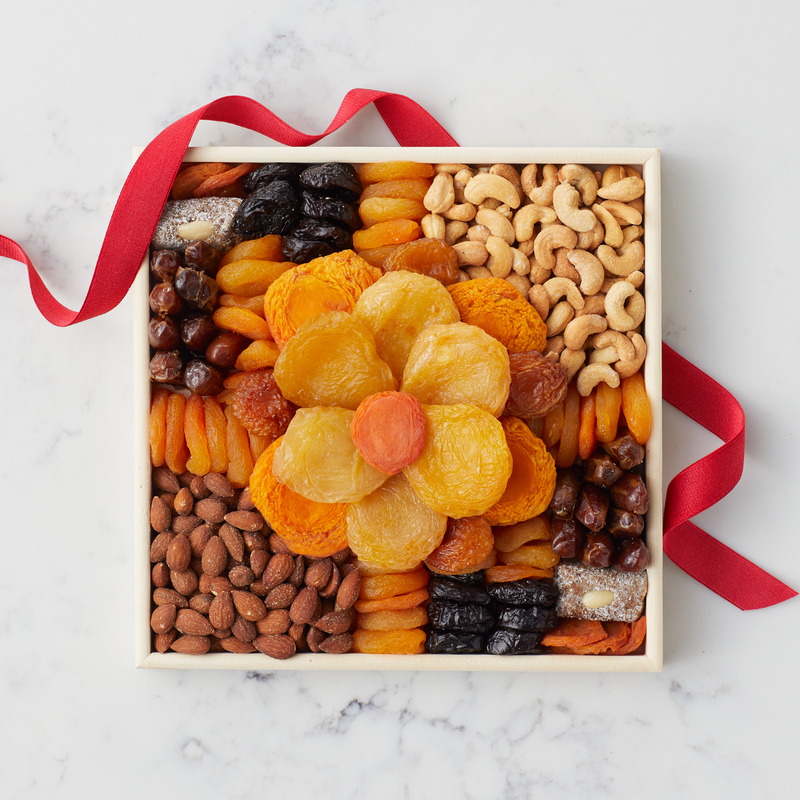 If you’re looking for unique way to celebrate a special occasion, this sweet assortment of dried fruit and savory nuts is the perfect choice. The beautiful resuable wood tray is packed with dried pears, peaches, plums, apricots, and dates. The fruit is paired with roasted and salted almonds and cashews for a tasty mix anyone would love to unwrap.